Home→CPP News in English→CPP flag to fly half-mast till Dec 4 to mourn Castro’s death! ← Who was Sibte Hasan? Young generations must know about him says the Communist Party of Pakistan (CPP) and its Chairman! Communist Party of Pakistan (CPP) flag to fly half-mast for 7 days has now been extended till December 4, 2016 when the Castro’s ashes would be buried in the southeastern city of Santiago says the press release issued here today by the Press Media of CPP. “Castro, a living communist legend, who has achieved immortal historical achievements for the development of world socialism. He was the great person of our era, and people and history will remember him forever,” says the Communist Party of Pakistan (CPP) and its Chairman Engineer Jameel Ahmad Malik in his condolences message to Fidel Castro’s family and to the Communist Party of Cuba. He also said that Pakistan witnessed the Cuban humanitarian spirit first hand, when over a million people were treated by Cuban doctors in the aftermath of the 2005 Kashmir earthquake. “There will be no one else like him. We will feel his physical absence,” the CPP Chairman said. Castro left Cuba with free healthcare, free schools, and not a single street in his name or a single statue in his honour. The towering personality of the 20th century has passed away. His achievements and those of Cuba under him are monumental. Former Cuban leader Fidel Castro was a legendary survivor — besting what Cuban officials say were more than 600 attempts to kill him. He lived much of his long life in the spotlight — and much of it in the cross hairs — surviving a half century of assassination plots. “He was one of the leading figures of the Cold War, of world politics and he transformed Cuban society and gave meaning and dignity to the words ‘being Cuban.’’’ said the CPP. Castro seized power in 1959 in an insurgency that ousted the corrupt, US-backed government of General Fulgencio Batista. Purging Batista loyalists and alienating US business interests and wealthy Cubans, Castro’s revolutionaries took control of industry, expropriated private assets, and nationalized land holdings, spurring an exodus of wealthy Cubans to the United States. Castro’s death drew strong reactions from world leaders. In Britain, former London mayor Ken Livingstone said Mr Castro was an “absolute giant of the 20th century”, and blamed the US for the restrictions on civil liberties under his leadership. He told BBC Radio 4’s Today programme “of course Fidel did things that were wrong”, adding: “Initially he wasn’t very good on lesbian and gay rights, but the key things that mattered was that people had a good education, good healthcare and wealth was evenly distributed. 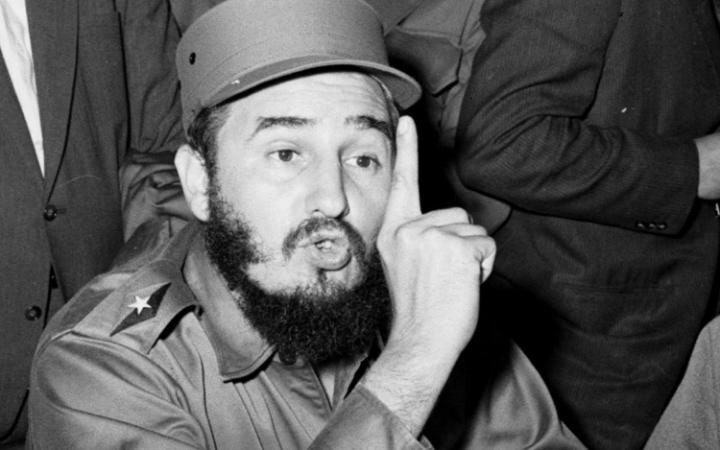 The bearded, cigar-puffing leader, renowned for trademark army fatigues and hours-long public tirades, grabbed power in a January 1, 1959 revolution. Living by the slogan “socialism or death,” he kept the faith to the end, even as the Cold War came and went. Castro married three times and is known to have fathered eight children. He met Celia Sanchez in 1957 and remained with her until her death in 1980. Since the 1980s, Castro’s partner has been Dalia Soto del Valle. Donald Trump has previously threatened to reverse Mr Obama’s trade deal with Cuba unless it meets his demands to release some political prisoners and restore civil liberties. From November 26 to December 4, “public activities and shows will cease, the national flag will fly half mast on public buildings and military installations,” a statement from the state executive said. Castro’s ashes will be buried in the southeastern city of Santiago on December 4 after a four-day procession through the country, it added. Santiago was the scene of Castro’s ill-fated first revolution attempt in 1953. Nine days of mourning have been declared following Castro’s death, with a funeral set for December 4. Here are some of his more notable quotes. 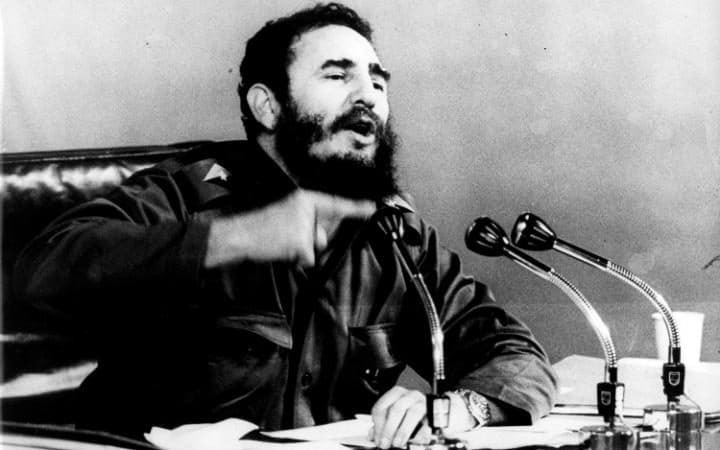 Oct 16, 1953, at his trial for a rebel attack that launched the Cuban Revolution. Jan 1, 1959, when the revolution triumphed. April 16, 1961, declaring his government socialist. Oct 26, 1962, commenting on the possibility of a US attack in a memo to Soviet Premier Nikita Khrushchev during the tensest hours of the Cuban missile crisis. Oct 15, 1976, addressing more than one million mourners in Havana the week after the terrorist bombing of a Cuban airliner killed 73 people. March 30, 1977, to Cuban civilian and military personnel in Luanda, Angola. Dec 20, 1980, to the congress of the Communist Party of Cuba. Oct 14, 1991, to the Communist Party congress as Cuba feels the first effects of waning Soviet trade. Dec 23, 1999, calling on schoolchildren to participate in the fight to repatriate Cuban boy Elian Gonzalez. March 6, 2003, upon being re-elected by Cuba’s National Assembly to a sixth term as Council of State president. July 31, 2006, announcing he had undergone intestinal surgery and temporarily ceded his powers to his younger brother Raul, Cuba’s defence minister. Feb. 19, 2008, announcing his resignation as president. Speaking of his 2006 illness in an August 30, 2010 interview with Mexican daily La Jornada. April 18, 2011 opinion piece written during a key Communist Party congress on the need to hand over power to young leaders. At the congress, Castro stepped down as head of the party. 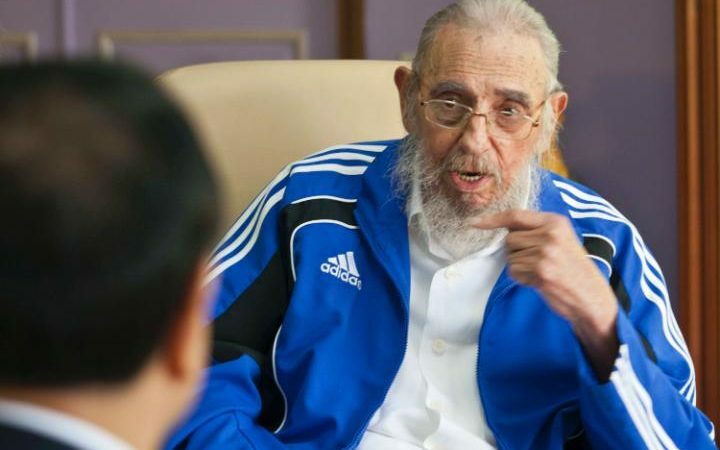 But despite talk of rejuvenation, he was replaced by his 79-year-old brother Raul, with two grey-haired veterans of the revolution selected as his chief deputies. Castro wrote a 1,500-word letter in state media titled “Brother Obama” in response to the US president’s visit to the country in March 2016. At an April 2016 Communist party congress where he made his most extensive public appearance in years.